Transcend the woes of daily life for a moment and enjoy a meal at Nirvana. 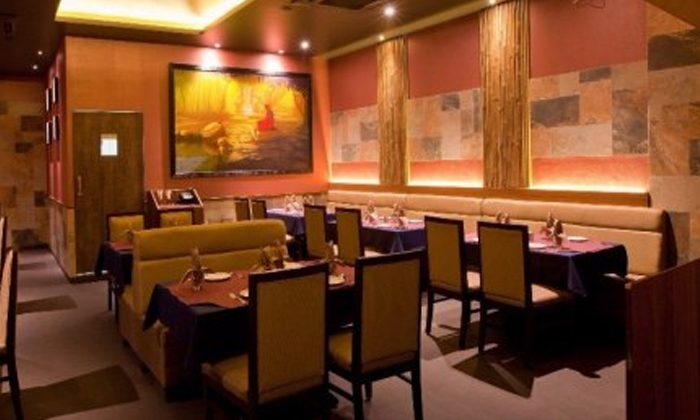 Located in Borivali West, Mumbai, Nirvana is an elegant restaurant that boasts spacious, classy interiors with an earth toned colour scheme, soothing art and plush seating arrangements that creates an ambiance that is both relaxed and sophisticated. The restaurant serves up a range of North Indian, Maharashtrian and Chinese dishes that are prepared by talented chefs with the use of fresh ingredients and authentic recipes. The pure vegetarian dishes are sure to tickle your taste buds and satisfy your hunger and the staff offers warm and efficient service. The restaurant makes for just the spot to enjoy a lavish meal with friends and family.